After spending the past 3 weeks interning at the National Institute of Geological Sciences or known better as NIGS at UP Diliman, it has shown me a whole new different light on the world of science. 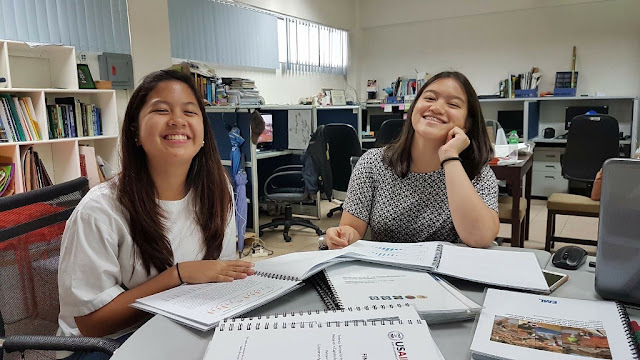 Thanks to ISIP, I was given the opportunity to rediscover science and this experience has led me to appreciate and understand it better. It’s true that everything is connected in science. Biology and Chemistry come together under Geology. I realised that things always work together and instead of being separate individuals, both compliment and work with each other. 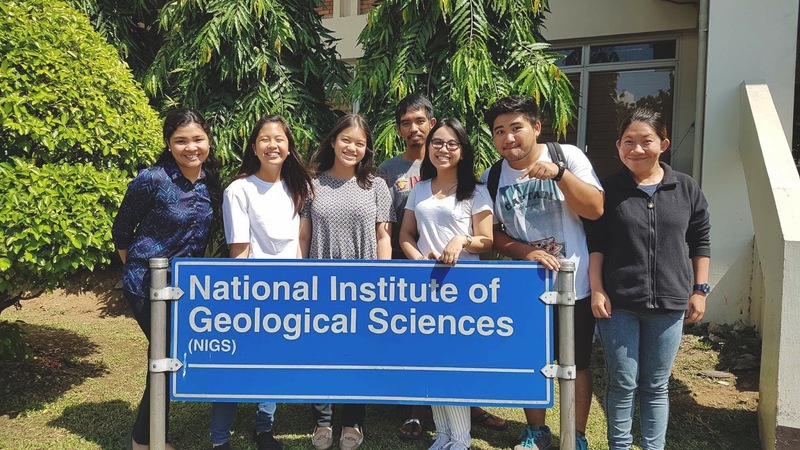 The Environment Monitoring Lab of NIGS specialises in finding water resources for provinces and cities all around the Philippines and checking its water quality. The lab focuses on making sure that everyone is entitled to clean drinking water that is easily accessible to them. In solving problems, geologists follow the same method we students use in the classroom. It was then that I realised how the Scientific Method is so important. The geologists and researchers start with a problem they have to address and in line with this they research and go on fieldworks to gather their data. Through the data they have gathered, they pool in their knowledge to come up with a solution that is suitable for the situation. It feels so surreal studying about instruments and maps then a week later, we actually got the chance to go on the field and use the instruments ourselves. I think the most important lesson that NIGS has left me with is that they reminded me of the duty we have as students to use our talents and acquired knowledge to give back to our country. NIGS has opened my eyes to the real state our country is in and the reality is that there are still a lot of provinces that don’t have a sufficient supply or water or don’t have a clean water supply at all. It made me feel really worried for the people who suffer from this lack of water up to this day. Ate Pammie, our supervisor, gave me hope when she told me that there’s still a chance to change this. Currently, the people at NIGS are going around the country and finding the provinces who are really in need and they will start there. They plan to assist the province to push through with their water supply plans or help them make a plan if none exists yet. We have witnessed this ourselves as we went to Quezon and Batangas. This serves as a reminder to continue working hard not only for myself but to reach out to the people in our community as well. Through science, it’s possible for us to discover, learn and invent new possibilities and advancements to have a better and brighter future for our country and this is what ISIP believes in.